We still have a long ways to go until Walmart’s Labor Day 2019 sale arrives. But you can scroll down the page to see the details from last year to get an idea of what’s likely to come. Enjoy! Updated on Wednesday, August 29, 2018: Although Labor Day weekend is still two days away, you can already start getting your bargain shopping done and out off the way today! 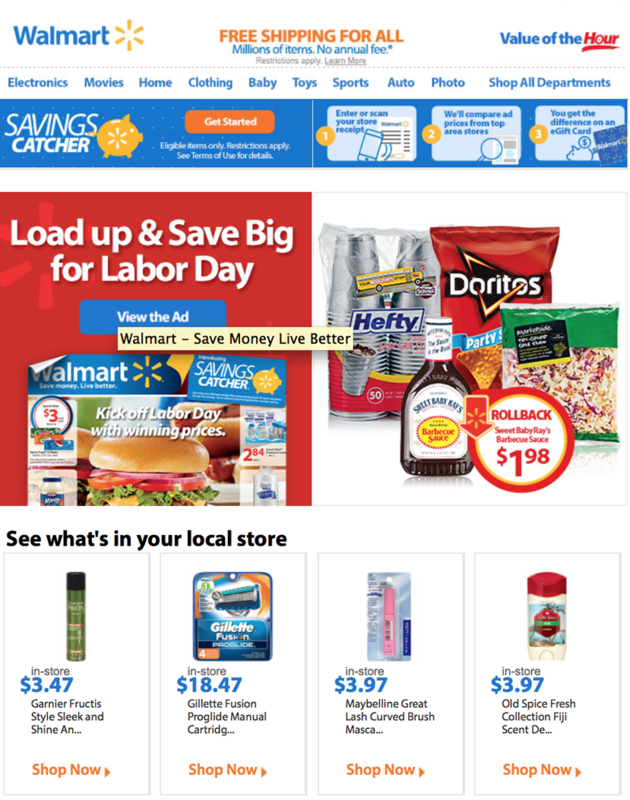 Among the several dozen stores that have already gone live with their Labor Day sales is Walmart. Shop walmart.com or your nearest store to pick up last chance deals on pools, patio furniture, gardening tools, TV’s, toys, and more, from now through Monday September 3rd. There are literally hundreds of deals to be found but we’ve pulled out a few that top list. You can check them out below. Have a safe and fun Labor Day weekend! What do you plan on picking up at Walmart this Labor Day? Let us know in the comments section at the bottom of the page. Labor Day may still be officially two days away but Walmart has just kicked off their annual end of summer clearance sale. There’s actually so much to choose from that you’ll probably be able to find what you need in just about every department — From electronics to outdoor sporting goods, baby items to clothing. See their site or store for official details. Most promotional prices are expected to be valid through Monday, September 4th. Walmart just went live with their Labor Day sale for 2016! You can shop now online or in-store (most items will qualify for free shipping to your home or nearest store). – Dyna-Glo DGB390SNP-D Smart Space Living 3-Burner LP Gas Grill on sale for $230.99 (was $289.00). – 29″ Mongoose Ledge 3.5 Men’s Mountain Bike, White/Red on sale for $199.00 (was $249.00). – 26″ Mongoose Dolomite Men’s 7-speed All-Terrain Fat Tire Mountain Bike, Navy Blue/Red on sale for $187.19 (was $299.00). – 12″ Schwinn Boys’ Kwickster 2-N-1 Learning Bike, Red on sale for $39.00 (was $69.68). – Sony PlayStation 4 System 500GB with Call of Duty: Black Ops 3 Standard Edition Disc and NBA 2K16 Disc on sale for $349.00 (was $429.00). – Xbox One 1TB Value Console Bundle with Gears of War, Rare Replay, Ori & Blind Forest on sale for $299.00 (was $399.00). – ASUS Matte Black X555DA-WB11 15.6″ Laptop PC with AMD Quad-Core A10-8700P Processor, 4GB Memory, 500GB Hard Drive and Windows 10 on sale for $299.00 (was $399.00). – HP M9L66A#B1H Officejet Pro 8710 Inkjet Multifunction All-in-One Printer/Copier/Scanner/Fax Machine on sale for $129.99 (was $199.99). – Graco Nautilus 65 LX 3-in-1 Convertible Harness Booster Car Seat on sale for $139.88 (was $169.00). – Step2 Corvette Convertible Toddler to Twin Bed with Lights on sale for $299.99 (was $359.98). – Little Tikes Pirate Ship Toddler Bed on sale for $249.99 (was $329.00). – Oakwood Microfiber Recliner, Multiple Colors on sale for $159.00 (was $199.00). Of course there are thousands of things on sale and we can’t possibly cover them all. So just visit your nearest store or shop online for full sale details. 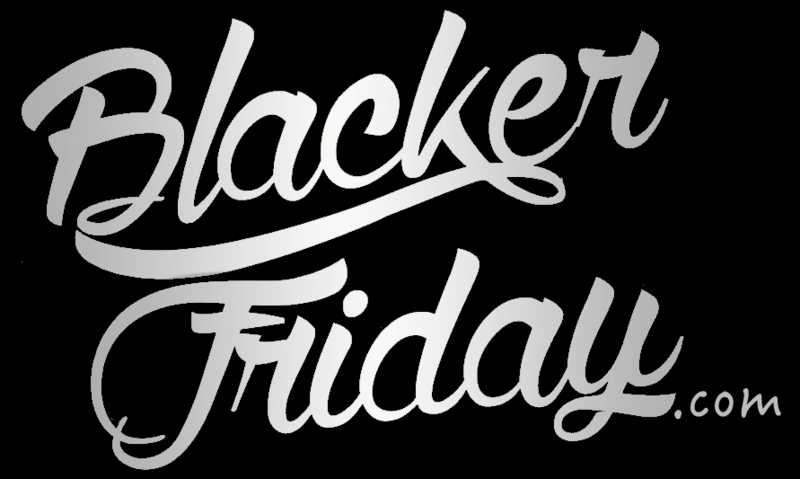 Keep in mind that just like on Black Friday or any other big shopping weekend, certain items will sell out early. 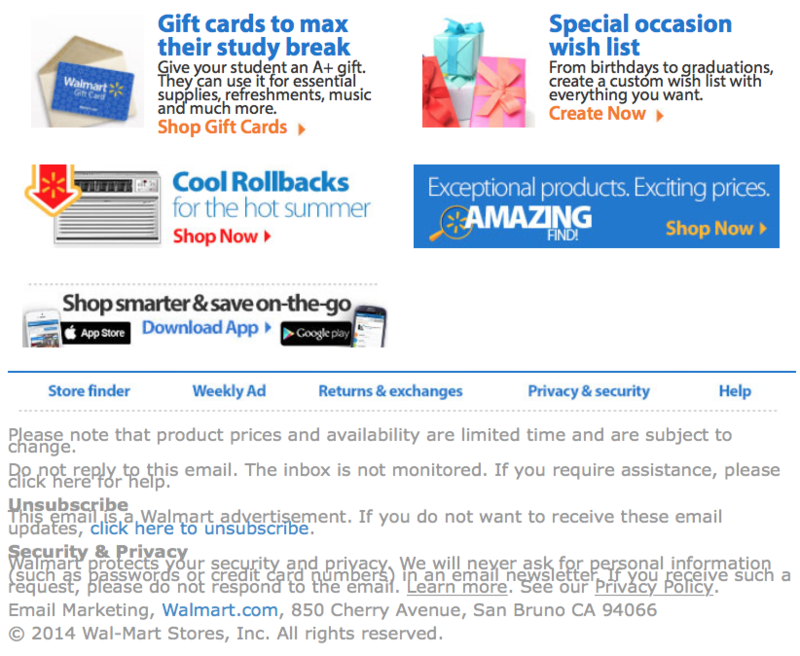 If what you’re shipping for is out of stock, Walmart doesn’t typically offer any rain checks on their limited-time sale items. – Apple iPad mini 16GB Wi-Fi – On sale for $199.99 (was $249.00 you save $50.00). – Bounty Select-A-Size Paper Towels, White, 12 Mega Rolls on sale for $15.97. – Slumber 1 – 8” Mattress-In-a-Box starting at $99.00 (was $149.00 so you save $50.00). – Xbox One Console Bundle and Bonus Controller and Game starting at 349.99. – SCEPTRE X322BV-MQC 32″ LED Class 720P HDTV with ultra slim metal brush bezel, 60Hz for $159.99 (was $199.99 so you save $40.00). 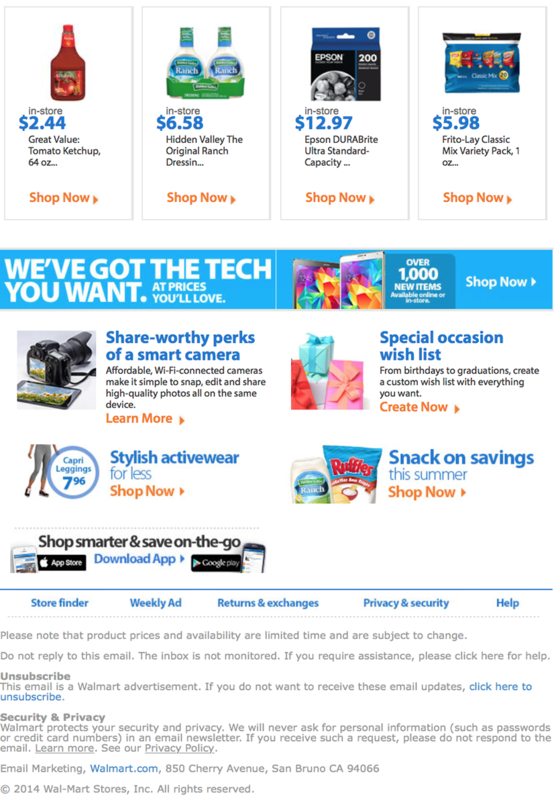 Walmart is one of those stores that always has different deals online and in-store. And when it comes to Labor Day, Walmart goes all-out and takes full advantage of the last big shopping weekend of the summer. Most of the stuff you’ll find in-store that are not at walmart.com include mostly food and personal hygiene items like ketchup, chips, salad dressing, razors, hair spray, deodorant, and alike. 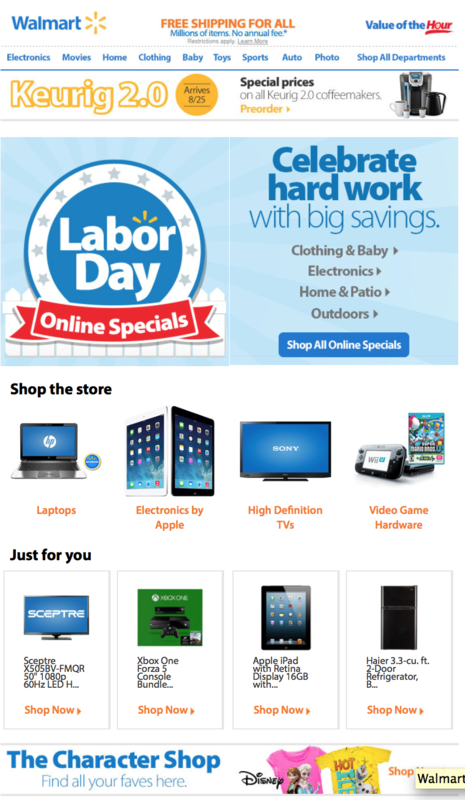 If you’re looking for electronic this Labor Day weekend, then it’s probably best to head to walmart.com as there you’ll find some great deals on laptops, iPads, TV’s, and video games to name a few. – Garnier Fructis Style Sleek and Shine hair spray for $3.47. – 64oz Tomato Ketchup for $2.44. – Gillette Fusion Proglide manual refill cartridges for $18.47. – Maybelline Great Lash Curved-Brush mascara for $3.97. – Old Spice Fresh Collection Fiji Scented deodorant for $3.97. – Frito-Lay Classic Mix Variety chips for $5.98. – Hidden Valley Ranch dressing, two pack for $6.58. In terms of the online deals, be sure to check out some of the larger Sony HDTV’s, retina display Apple iPads, Xbox One console and game bundles, and small appliances (there’s a great deal on a 3.3 cubic foot 2-door refrigerator. Here’s a look at this year’s Labor Day ad mailer — Page 1, 2, 3, and 4. Find the nearest Walmart store in your neighborhood.